Finally a sunny day. Foggy this morning, but when the fog cleared the sky was clear and blue. Yesterday was dry but cloudy. We are glad for any day without rain, right now. The pasture is running with water; there is nowhere for the precipitation to go but across now. While the rest of us were in Pittsburgh yesterday for a matinee and evening performance of Antigone, and a trip to the zoo in between, the three biggest boys stayed home and worked. As we stood in the elephant house admiring the size of a four-year-old African elephant born there in Pittsburgh, S-3 rang us on the cell phone. They’d demolished the chicken house and wanted to know if they could burn the siding. Well. Work moves quickly with these guys, if the weather just cooperates. They met us in town at six for dinner, and discussed the footing they were building to support a bridge of railroad ties across Jeddo’s run from the chicken house to the barn. Today they built the bridge. On either bank they have constructed walls of large stones backfilled with smaller ones, preventing washout under the ends of the bridge, and upon these are supported six railroad ties, making a bridge about four feet wide. At either end they are backfilling with more rock and clay to make a smooth transition from the dirt to the bridge. It is a pretty massive construction. The goal was a bridge over which the Wheelhorse could be driven with a heavily loaded trailer; you could drive over this with a mack truck. S-5, on the other hand, with the girls to help and hinder, set up a second tractor of stock panels and installed the CRX’s in it. This was a rather involved process, including testing all of the chicken waterers in order to find one or two that didn’t leak. They all leaked, so then they had to be caulked and tested again. Eventually the fat white chicks, each weighing a good twelve ounces or so now, were hauled down the hill in a crate and plunked down on the grass in the tractor. CRX’s are so slow and heavy that they don’t even try to escape when you catch them; they just squawk a little. Even while we raise them, anticipating thirty-one delicious chicken dinners from the effort, we wonder whether any good can come out of rearing birds so obviously unfit for real life. If animals should be allowed to express their natures, so to speak, what can be said for birds which will eat themselves to death long before they could reach maturity? What sort of chicken nature have they? Example: when we went down the pasture this evening to check whether the cow’s paddock needed to be switched before morning, we passed the CRX tractor and noticed that all three of the waterers in there were full. These birds, which eat so much, drink a great deal of water every day, and their waterers had last been filled at midafternoon, so it was unusual that they should now have full waterers. We investigated. To encourage the birds to take a little exercise, we always place their waterer and their feeders at opposite ends of their sixteen foot tractor. These guys had been loaded into the covered end of the tractor, where their feed pans were. The waterers, naturally, were at the other end. Could the chickens have failed to discover them? Sure enough, when we crawled into the tractor and moved a waterer right down among the birds – all of which were couched down in the grass, taking it easy – after an interval for recognition of this familiar object – the silly birds rushed – picture a slow but determined waddle – to the waterer and drank thirstily. It was obvious that they had not ventured even so far as the other end of the pen in search of water, and chances are they would have died of thirst at their own end of the pen, rather than show the enterprise and initiative to go looking for some. It rained as we drove back up the river after Sunday mass, but the clouds broke and moved off after breakfast, and the sun shone! Much sympathy for Papa and S-5 who had one more performance of Antigone requiring them to drive into the city and forgo all the pleasures of a sunny Sunday. The Rhode Island Reds received a shortened jail sentence and were turned out of the polywire paddock at the bottom of the pasture, where a single day of scratching had already done serious damage to the grass there. Their nesting boxes will be moved back up to the barn, and the optimists in the family say they can have the new hen house framed and roofed in a matter of two days. Let’s hope they are right. The area around the chicken house, as all who have kept chickens will know without being told, is a bare wasteland, but it is inaccessible for other uses anyway; and our seven acres of pasture are not so vast as to prevent some, at least, of our hens venturing to its farthest confines in search of fresh cow pies. We conclude, therefore, that penning and rotating them may be a waste of effort. The boys applaude; this conclusion they reached independently several days ago. Rain has been throwing a pipe wrench into our plans for the last several weeks. Farm work depends heavily upon the weather. The tomatoes, peppers, basil, and other hot weather plants, are in flats on the greenhouse steps, waiting for a break in the weather to give the raised beds to dry out a little. Shawn has braved the mud to weed and mulch the onions and garlic, but the transplanting will wait for the sun. Something is always overlooked, and S-3 pointed out two days ago that the pumpkins, watermelons, and squashes, which should have been started in the greenhouse two or three weeks ago, were still in their seed packets. We rushed out and started some pots, putting them on the small warmer we keep for germinating hot weather plants, and we will direct-sow as many more, when the weather shifts. Right now it is grey, rainy, and about fifty degrees fahrenheit. This delay may cost us heavily at harvest time, because these, like many garden plants, require a certain number of days to maturity, and a late planting may fail to mature before fall weather puts a stop to growth. It can be difficult to know what work to turn to when our plans to work outside are foiled. The guys spent a good deal of the morning around the breakfast table, sorting over the designs for our chicken palace, trying to reconcile the ideal with the possible. 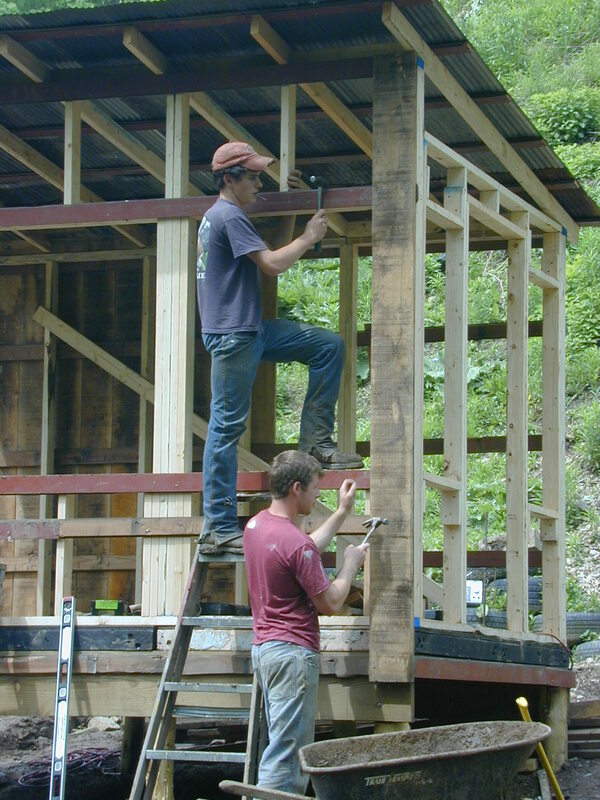 We are very happy with the sawmill, which will save us a bunch of money on all the large timbers for barn and chicken house, but the boys are universal in feeling that it is uneconomical to mill two by fours. Each log must first be squared, with consequent loss of width; then the cuts for each piece of lumber require more loss of useable lumber. They estimated the number two-by-fours necessary to frame the small building, and their cost, and decided that, subject to their father’s agreement, it would be a savings in labor to buy those boards. 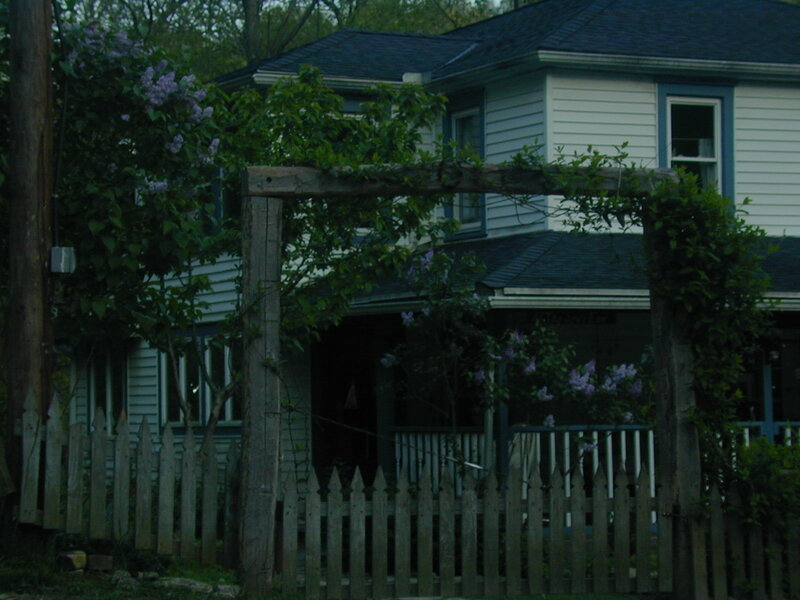 Square footages were calculated for siding and roofing (another purchase), and some phone calls were made for pricing. Later people worked on the new shelves in the pottery studio, and milled an interesting knot into veneers. Isabel is only days from being dried off. This is the one- to two-month period of non-lactation we allow a cow before she calves, so she can rest up and put all her energy into calving and freshening. It also gives the milkers a break, especially the guy who gets up at six every morning while his brothers sleep for another hour! We will be hard put to it to manage without our ususal two gallons of milk a day, unlimited cream, and fresh mozzarella, but we do have lots of butter and grated mozz in the freezer, we are thankful to say. The guys will probably be drinking a lot of iced tea and lemonade over the next month and a half anyway, since, when the rain stops (touch wood) it will be time to think about the haying. All our little flocks are well. The SS pullets are about five weeks old, and went out on pasture in a stock-panel tractor on Saturday (and if you look at the floors upstairs, you can see that the vacuuming didn’t get done that day). The CRX’s are in the shed out back, where they are under the united care of Mom and S-4, which sometimes means they get forgotten. They go through twice as much feed as the three-weeks older SS pullets, and water proportionally. They are not the most attractive birds, outgrowing their feathers so the pink skin shows through, but they dress out to a fat and tender six pounds at nine weeks, and we love them. The turkey poults are doing nicely in their small tractor down by the creek. The RIReds, little knowing they will soon be obsolete, are laying a gratifying three dozen eggs or so a day, and we are backing up. Sponge cake is made here almost daily now. May 12: With S-2 at home the lumber work moves even more quickly. 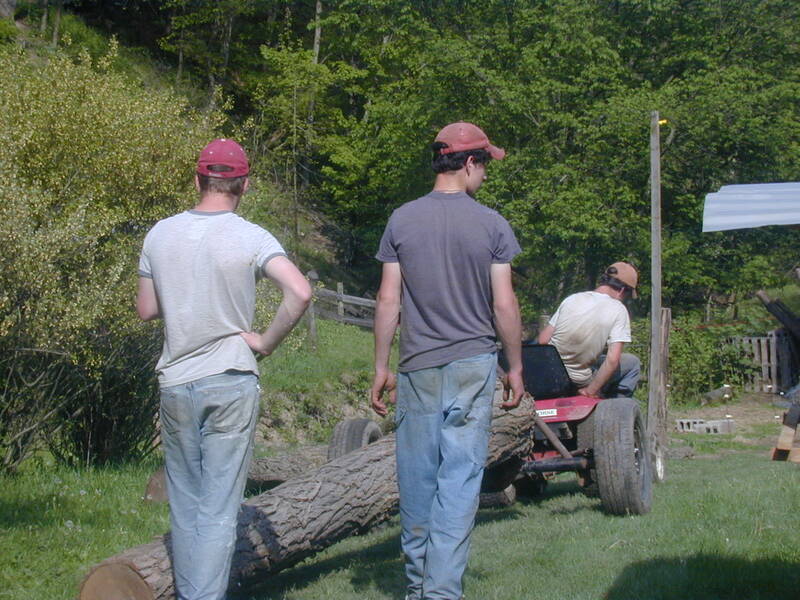 The log jack they made of a car axle pulls easily behind the lawn tractor, except when something shifts. Then the weight of the log lifts the whole back end of the tractor off the ground, wheels spinning, and someone has to readjust the chain. This happens usually when the log has been chained down on a sloping piece of ground – this describes most of our land – and then is dragged onto the level road. Good for a laugh. The men hauled many logs today – when questioned as to number, they said, “a bunch”. Tomorrow if the weather permits they will probably dig post holes. Warm weather is really here when we change the bed sheets from flannel to percale. This was done today. When the screens are put in the windows, and the storm doors changed to screen panels, summer has officially arrived. Already the small children are going through multiple changes of clothing during a day, the creeks being irresistible places to play. Until this evening, when a downpour unloaded an inch and a half of rain in about twenty minutes. Then the small, musical sounds of Jeddo’s run and North creek became roar, and the brown water raced by faster than you could chase a bucket if you had dropped it in. It was so high in Jeddo’s run that the two culverts couldn’t carry it, and it poured over the road in three wide streams and piled high foam on the rocks in the stream bed below. We stood at an upstairs window watching great trees bending far over in the wind and hoping if they carried away they wouldn’t land on the house. Then someone thought of the basement. This is not usually wet, but when the rainfall is so rapid that it can neither soak in nor keep to established paths, it runs up under the front porch and pours down the west wall of the basement, where two large cracks admit it in fountains onto the concrete floor. The drains have a way of getting plugged with the wood chips and straw that are brought inside. Sure enough, the water was already several inches deep. The Cornish Rock crosses were in the red wading pool, an island of light and warmth just about to float away in the flood. Aware of the danger of electrocution, but having to do something just the same, we waded in and found, by feel, the plugged drains, pulled out handfuls of rubbish, and stood over them, clearing them every few seconds, while the water poured out with loud sucking noises. The seedlings from the greenhouse were set out yesterday to harden off, with hoops and rowcovers to protect them for the first day or two. Lightning flashed continuously as we pulled the wire hoops, gathered the covers in armfuls, and shoved them out of the way in the greenhouse. Battered by the heavy rain and strong gusts of wind, the seedlings were bent over like exhaused people. We lugged the waterlogged boxes back into the greenhouse. Scouter, our variously talented and challenged Dekker Rat Terrier, slunk through the door and disappeared behind some shelves. She is mortally afraid of loud noises, and this thunder was like rapid explosions. Very well. She can open the door herself – it is a screen one that pushes out – so we left her there. Later the door was propped ajar, showing that she had regained her courage and come out. Mozzarella is quicker to make in the summer, as is butter, and this, although other tasks kept us from them until mid-evening, filled the hours before bedtime. By seven-thirty, we are ready to say we are finished with the day’s work and settle down on porch or sofa, or take an aimless walk, but farmers have to do what needs to be done when it needs doing, or risk the ruin of whatever is the task at hand. The milk and cream had been set out that morning, and should really have been processed hours before, but one thing after another, not to mention a reluctance to begin jobs of extended duration, had been obstacles to starting. Cream that is too warm churns to fluffy, oily-textured butter. Chilling it can make it firm, but it will still be oily when spread on warm toast or biscuits. Not that this is necessarily bad – it tastes good, and it is good – but the Tao of butter is firm and even textured. Farming requires a long series of compromises, when the Platonic ideal we are trying to realize must give way to mundane reality. 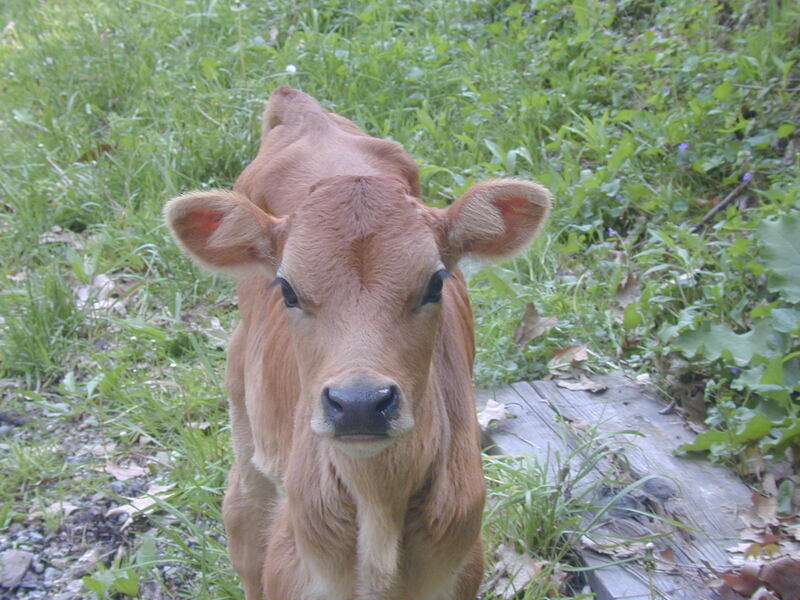 The cow gets into a patch of ramps, and her milk tastes off; warm cream churns to oily butter, making the toast greasy. Lettuce that was perfect before it rained will now have brown veins in the outer leaves where it is waterlogged, and slugs will be curled in the leaf axials where they have crawled to keep from being drowned. Each of these little compromises in which the real trumps the ideal can be accepted, usually with only a small pang, and the real enjoyed for whatever it is; but sometimes a rapid series of necessary compromises can breed in us an attitude of defeat, almost of despair. It is understandable, perhaps inevitable, that it should be so. Farming is not a job which can be engrossed on a legal pad, nor reduced to a series of inputs and outputs, activity following neatly on activity. In it we see, not the order and control of mechanical operations, but the ordered chaos of living things whose synchronous activities are the result less of flow-charts, carefully drawn-up lists, and meticulous planning, than of some undefinable union of mind and intuition. Issues arise as though popping up out of traps, priorities give way to super-priorities, periods of lull are galvanized by sudden frenetic activity. Only in hindsight do we sometimes see the pattern that orders our labors, either in its fulfillment, or its rupture. Consequently, there come times, sometimes only moments, when something dies, or rots, or is eaten by bugs, when we feel a sudden surge of complete incompetence, and a conviction that we are playing a game for which we have no training, no talent, and everybody knows it but us. ( –we.) Common sense dictates that we should throw in the towel, now, before we have wasted any more time, and give up the ridiculous pretence that we are farmers. People like us, we are certain, have no business to keep livestock, or to waste good money on seeds that will never come up, or if they do will only be choked by weeds, gnawed by insects, or melt to goo under some disgusting mold or fungus. No one so totally ill-equipped should be allowed to try building things for himself, fixing things that are broken, growing food, or any other thing so completely outside of the work he was really raised and trained to do. We are completely overwhelmed by the certainty that we must return to the city, get a job at the Seven-Eleven, enroll the children in public school and soccer, and try not to be too miserable for what remains of our sordid lives. Even when someone has grown up on a hobby farm, keeping a garden and a pony, and maybe a small flock of chickens, there is a wide, unbridgeable-looking gap between playing at farming with some of our disposable income, and investing time and energy and money and thought into an operation which, if it fails, negatively effects our budgets and our bank accounts. When we dare to step over the space that yawns between, we are made vulnerable, and lonely. It helps to know that this insecurity comes to all of us transplants to farm life. It is one of the growing pains unavoidable if we really want to go somewhere, if we intend to stick the thing out and prove, by doing it, that the right to raise our own food was not abolished when Henry Ford invented the production line. The sweet rocket and spirea are beginning to bloom, and the wild geranium, AKA crane’s bill, is big mounds of green with hundreds of pink flowers held above the leaves like sugar flowers on a cake. The sun shone today, and we think spring has finally made up its mind to stay. About time, too; average last frost around here is May 15, and it will be time to put out tomatoes very soon. The last two crates of potatoes went into the ground today. S-4 lay a furrow with the BCS and S-5 dropped the seed potatoes, small ones with sprouts which Mama and D-2 sorted this morning, sitting by the door of the ‘cave’, our dirt basement under the house addition. The potato sprouts had grown like a network through the crated potatoes, and we teased them apart with as little damage to the sprouts as we could manage. D-2, who is six, noticed the delicate lavender spots on the waxy white and pale green of the sprouts, like the spots on an orchid, or the exotic coloring of some tentacled deep-sea creature, pretty, and one of the experiences that makes family farming worthwhile. Well! Our 4WD pickup is now totaled, and we are glad that the boys kept and repaired the old red one. What is a farm without a truck? For some unknown reason the insurance on this ancient vehicle is outrageously expensive, but after we get new tags for it, we will get it insured until the Lord sends us a replacement for the other truck. We are grateful that the boys, and our wonderful neighbor Barry, were not injured in the accident, which, we note here, was not our fault. Without the truck, we have left the BCS up at the convent until we are all done with that garden. Now that the potatoes are all in, it will need two cultivations to keep down weeds, and maybe another mid-summer so that the potato tops are easy to find when we harvest. Half our seed potatoes were cut from the best and biggest potatoes last year; half were small potatoes uncut. There is some disagreement around here about which will produce the strongest plants and the best crop of tubers, so we will keep track of how the harvest comes out. For the record, the fingerling potatoes we planted experimentally last year are good potatoes, but did not, so far as we could see, outproduce our russet, Yukon Gold, or white potatoes, as they were touted to do. Fingerlings are not really easier to process, which is what we had hoped from their long, narrow shape; although this made them easier to slice for hash, it also makes a greater surface area to have to scrub. Consequently, we did not plant fingerlings this year. We must find a better way to get our extra eggs to consumers. The farmers’ markets won’t open until June, so we mean to strike a deal with one of our town friends: she fronts our eggs to our other customers, and she gets two dozen free for herself. With gas at $4.15 a gallon, we need to cut trips to town to a minimum. In that vein, the men are refurbishing all of the family bikes. Town is near enough for some of us to bike to mass and the library, as long as we can manage the long steep hill back home. This morning while we stood on the back deck hanging laundry on the two long pulley-lines out there, among the many noises of woodpecker across the valley, bluejay nearer to home, and song sparrow like a tiny silver bell, we were puzzled by a regular, deep thumping noise, traced after a little looking around to Bridget. She and the cow had been turned out on the right of way – our driveway over to neighbors’ – where the poultry tractor presently housing the turkey poults is sitting. Bridget never loses an opportunity to scrounge, and the thumping sound was the roof of the tractor box lifting and being dropped, over and over, in the pony’s attempt to get into the tractor and eat the wild game feed we are starting the turkeys on. S-5 went down and put a big rock on the roof, spoiling Bridget’s game. This afternoon the boys worked on the old pickup, which, since its transformation into a flatbed, needed new brake lights, etc. S-4, who loves to drive, took the tractor out on the field and picked up the rock piles we have made all spring, whenever we were out there with time on our hands. That hillside, besides being wet and mucky, is also a garden of rocks. It is almost unbelievable to us, when we look at the steep upper pasture which was cleared of brush most recently, that the thick turf of the lower slopes ever looked like that. Big rocks, five to a square foot, cover the ground, and what isn’t rocks is coarse weeds , multiflora rose, and sumac stumps; but just so were the lower slopes just a few years ago. Rotational grazing alone would eventually clothe this slope with grass; with help from us, taking off rocks and using the Stihl with the rotary blade to take out the multiflora rose (Beth would prefer goats), we will see improvement in the pasture even sooner. The rocks collected are used for projects, like a border on the flower beds by the porch, or as fill to stop the erosion of creek banks. 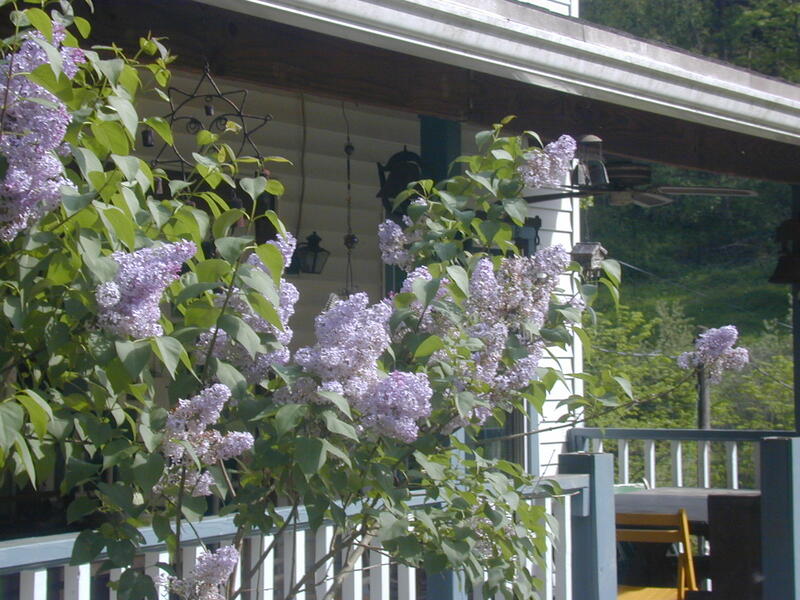 The bees were in the lavender and catmint while the sun shone hot, and in the lilacs, apple trees, redbud, spirea; soon there will be lemonbalm as well. I hear a mouse in the kitchen. There. Now we’ve set a trap; the little sneaks are not allowed in my kitchen, although it would be understandable if they thought they had an engraved invitation to dinner in my kitchen every night, considering the crumbs dropped there. Not even twice-a-day sweeping, which is the rule, if not the fact, can keep the floor crumb-free; and there is always the open bag of broiler starter in the basement for the CRX’s, to make the mice think this is a banquet hall set out just for them. 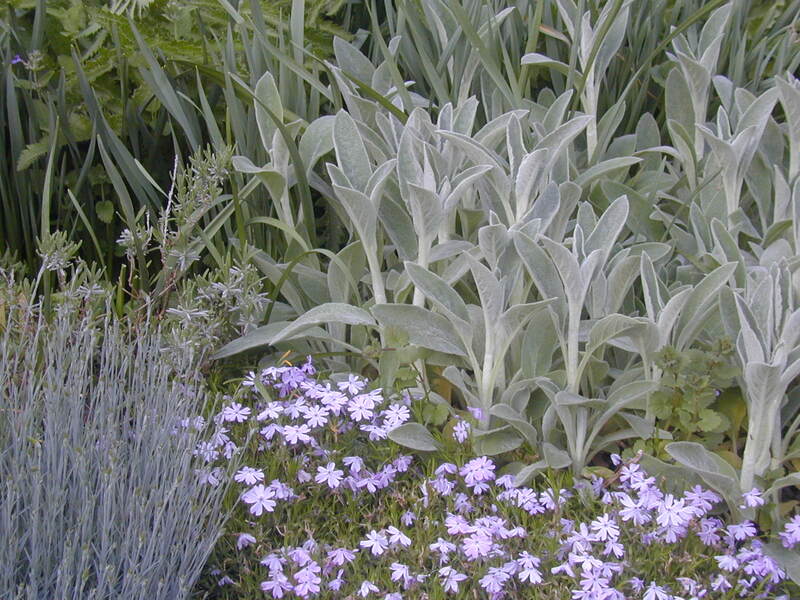 On the garden front, there was weeding today, and tomorrow we will put the seedlings outside for hardening off. We think we can safely set them in a sunny place if we put a row cover over them. Ususally they go in the woodshed for a day, then in the half-shade under a maple tree, before we trust them in the open garden, but floating row covers are recommending themselves to us more and more, and this seems a good use for them. Tomorrow is supposed to be fine, and there will be much barning. Finally we have gotten a couple of nice days, at least, relatively nice, and today we were stuck — that is, Sh. and I were stuck — taking a half hog into Pitt. to R. M. and ushering for a very profane play at the Public. We got home about 5:10, however, and had a lovely evening. Everyone was home, even S-2, and we had hamburgers and steaks for dinner and then got into the hives to see how the ladies were doing. The queen in hive #1 we thought was getting old — she’s a big girl — but her brood pattern looks really strong, so we won’t disturb her. We are waiting for her to move all her brood out of the bottom hive box so we can take it away — she has three hive bodies right now, and the workers aren’t putting honey in the super. 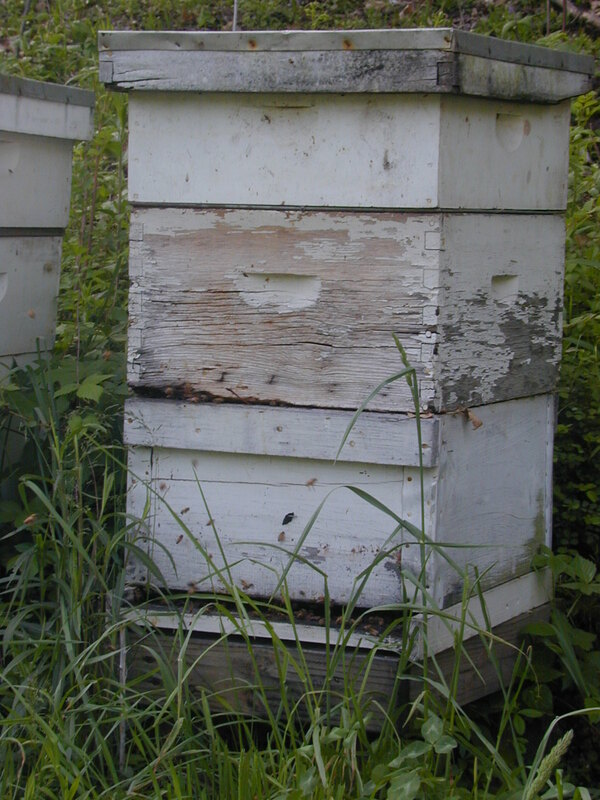 The other two hives have good patterns, have drawn the foundation in the supers, and are putting honey away — maybe we’ll be able to harvest dandelion/apple/cherry/londike honey in a week or so, and set out supers for the black locust (very strong and dark, great for coughs). After we closed the hives, we watched the kids swing in the park for a while, and walked down the field to help S-3 change paddocks. Finally the wet spots are beginning to firm up, and areas we haven’t yet pastured on will soon be ready for grazing. It is good to see the forage beginning to grow! The little children had a fire in the park for marshmallows, and then double-whammied with ice cream up at the house. Ah, well, it’s Sunday! We had reason to offer up thanks today at Mass. Yesterday when S-3 and S-4 were helping neighor Barry move an organ from Fr. Stabene’s, an idiot going about sixty in a thirty-five mile an hour zone topped a blind hill while S-3 was making a left and totaled the truck. Smashed the door in, glass everywhere, and bent the truck frame, but we have a merciful God, and the boys and Barry were fine. Because S-3 was the one with the stop, the patrolman ticketed him, much to the surprise and chagrin of all, both involved people and onlookers. So, since we only carry liability on the cars, bye-bye truck. We don’t have time to be concerned about it, though, we are all so glad no one was hurt. Take my stuff, Lord, and welcome, since you are so good as to leave me my kids. And two, at least, of my sons will probably be more careful drivers, and more assiduous seat belt fasteners, as a result. We are just about through with school, and S-3 and S-2, at least, will start barning tomorrow, weather permitting. They cut a bunch of lumber the other day, and will probably go ahead and cut more, if they aren’t putting in posts. We don’t want to turn the poults out until enough barn is up that they can roost there if they want. Really, we can’t turn them out until they are big enough to escape the affections of the dogs, who sometimes neglect to notice when their attentions are too vigorous. The chickens know to give them a wide berth. Finally some sunshine the last few days, and the pasture is beginning to dry out, even in the places that run with water all spring. The wettest spots will soon be firm enough to put Isabel and Bridget on, and the forage there is nice and thick. We can distinctly see how much better the sward is for last year’s rotations, and we expect great things for this year. We took delivery on the three hogs on Saturday; one customer picked up her half that day, and we delivered the other half today. Driving into the city on a nice spring day is not what we would have chosen to do, but the check for that half hog sweetened the trip. Here we touch on one of the questions — and if we haven’t made it clear that as farmers, we are mostly dealing with questions to which we do not yet have perfect answers, we are failing to communicate — here, as we say, we touch on one of the many questions for which we have to craft creative answers as we learn this very primal vocation. To whit, what should we charge for our beef and pork? When we sell it, that is. Mostly we don’t sell it, we eat it, but we sometimes have an extra animal, and then we have to come up with a price so we can sell it. How to determine the price? We started by going to K– that is, a chain grocery store — where we noted that pork and cured hog products were, with the sole exception of split pigs’ feet, not a big seller, priced not less than $3.49 / #, and as much as $7.99 / #. Commercial butchering around here runs about $.90 / # for hogs, so we hemmed a little and settled on $4.00 a pound hanging wt., since a hog dresses out a lot higher percentage of hanging wt. than a steer does. At that price, we figured, buyer would be getting his meat for about five dollars a pound,. We consider our milk-, swill (cooked human food)-, bakery product-, and corn-fed, naturally raised (small group pen with access to dirt and some grass) pork to be a superior product, and so do our buyers, and this price was immediately snapped up. Then we took the pigs to the butcher, and lo and behold, he was charging a MUCH, and we mean MUCH, lower price per pound for a half hog. So we called a farmer friend to get his price, and it, too, was much lower. Hmmmm. We got out the books and slide rule and calculated our costs — always higher than we estimate them — and reconsidered what we needed to get above cost to make selling this pig worth our while. At the outset, our hope had been that the pig sold would pay processing on our own hogs, a cost we normally avoid by butching our own. We can do this in the winter, when the poor man proverbially has his ice; in May we cannot. Processing adds ninety cents a pound to the cost of pork, and when the pig in question hangs over two hundred pounds, that’s a chunk of change. But, whether our customers were willing or no, none of us were comfortable charging twice as much as the other guy, at least not until we were convinced that our product was twice as good. So we refigured the price at $3.00 / #, which covered what we had in the pig, plus all the processing. We are sure the customers will be satisfied, if a little puzzled, and we will all sleep better. Like right now, when we must decide to nurse the baby to sleep.